Manchester United suffered another injury on Saturday after Romelu Lukaku was stretchered off wearing an oxygen mask in the opening 15 minutes of our 0-0 draw versus Southampton. The striker collided with Dutch defender Wesley Hoedt in an innocuous aerial challenge that caused a six-and-a-half minute delay. This comes two days before our New Year’s Day game at Goodison Park to face Everton where we are looking to get back to winning ways after three consecutive draws over Christmas. Lukaku will be assessed before our trip to Merseyside before a decision is made as to whether he can face his former side or not. 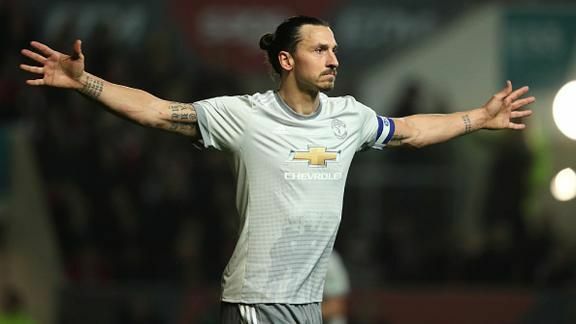 However, one striker that Jose Mourinho will not have available to him is Zlatan Ibrahimovic. The Swedish legend had only recently returned from a knee liagment injury picked up in our Europa League victory over Anderlecht last April. The boss has now confirmed that Ibrahimovic has picked up another knee injury that will keep him sidelined for a month. The report goes on to state that Zlatan Ibrahimovic will be out for a month. He last played the opening 45 minutes of our Boxing Day draw against Burnley. This means that the 36-year-old will miss our New Year’s Day trip to Everton, our FA Cup tie at home to Derby County, our Premier League games against Stoke City and at Burnley before our trip to Wembley Stadium to face Tottenham Hotspur on 31 January.